Cinematography is an extremely important part of the filmmaking process that doesn’t get the attention it deserves from mainstream followers of the film industry. Much of the entertainment value of a film or television show is based on how the images are presented to the viewer and that is the role of the cinematographer. One of the men in this less glamorous role of the filmmaking process is Daniel Moder. His roster of work includes Secret in Their Eyes, The Mexican and The Normal Heart. And, considering his expertise in this field, it is quite unfortunate that his modest fame comes from his marriage to Hollywood superstar (Julia Roberts) and not from his works. Let’s take a look at the cinematographer’s life and career. Moder is from a big family of five children born to parents Mike Moder and Patricia Ann Waltz. He was born in Los Angeles in the State of California on the 31st of January, 1969. The names of his four siblings are Jane, John, Julia, and Debbie. For his education, Daniel attended Santa Monica High School, graduating in 1987 before proceeding to study Psychology at the University of Colorado-Boulder. He graduated from the University in 1992. Daniel had some experience in filmmaking he gained from learning from his father, Mike Moder who is a film producer. 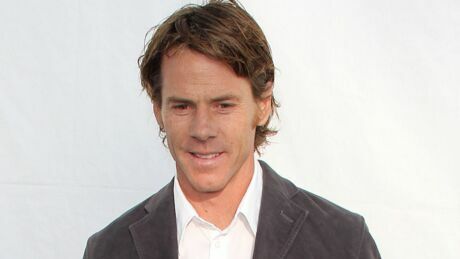 He went into the movie business in 1995 when he started as a production assistant on the film, Crimson Tide. After Crimson Tide, he worked again as a production assistant on the sports drama film, The Fan. After a year of learning the ropes as a production assistant, Daniel Moder went on to work in the Camera and Electrical Department of the filmmaking process. As a member of the department, he worked on films like Enemy of the State, The Big Tease, The Brave and Tuesdays with Morrie. Having felt like he has gained sufficient knowledge in the Camera and Electrical Department, Daniel Moder moved to cinematography. He debuted as a cinematographer in a short comedy film, Kid Quick. After several years of moving from one filmmaking department to the other, Moder fell in love with cinematography and has mostly remained there since his debut. He has worked as a cinematographer on films like Grand Champion, Border, Fireflies in the Garden, Jesus Henry Christ, among others. His only recognition for his cinematography came in the television film, The Normal Heart. He received a Primetime Emmy Award nomination for his work on the film. While he’s primarily a cinematographer these days, he still takes on roles in the Camera and Electrical Department, with credits in films like Full Frontal, Mr. and Mrs. Smith, Spiderman 3, among a few others. So far, in a career that started in 1995, Daniel Moder has worked on over 35 films, working as a cinematographer on over fourteen of them. His television work includes two films and an episode of a show, all as a cinematographer. Other than the Emmy nomination, he has also been nominated by the OFTA (Online Film & Television Association) television award for his work on The Normal Heart. Daniel Moder hails from a big family. He is the son of known film producer, Mike Moder. His mother is Patricia Ann Watz. His parents were married for 43 years until his mother’s death on August 20, 2001. His parents’ marriage produced five children including Jyl Moder, who followed her father into the film business as a Costume Designer; John Moder, Jane Moder, and Debbie Moder. See Also: Jared Fogle Bio, Net Worth, Why Is He In Prison When Will He Be Released? Before Daniel found love with Julia Roberts, he was previously married to makeup artist, Vera Steimberg Moder. The two were married for five years from 1997 to 2002. Daniel had met Julia Roberts before the dissolution of his marriage to Steimberg on the set of The Mexican in 2000. Both fell in love while Daniel was still married and Julia Roberts reportedly paid Steimberg $400,000 to accept a divorce agreement from Daniel. Daniel and Julia Roberts got married a month after the divorce from Vera on July 4, 2002. After what was an initial difficult start to their marriage, especially with Daniel’s extended family, the couple has built a happy and beautiful life together with three children. Twins Hazel Patricia Moder and Phinnaeus “Finn” Walter Moder with Henry Daniel Moder.